Despite moderate equity weakness across the day, the VIX was again very subdued (intra low 12.59), settling +1.6% @ 13.62. Near term outlook offers renewed equity upside, which will likely equate to VIX remaining within the 15/11 zone. Certainly, the key 20 threshold looks out of range in the near term. *the closing daily spike-floor candle bodes in favour of equity bears, but considering other issues, I find it difficult to envision the VIX above the mid teens before late April. Despite net daily equity declines of around -0.5%, the VIX remains very subdued. The big 20 threshold looks out of range for many weeks. US equities closed moderately weak, sp -12pts @ 2091. The two leaders - Trans/R2K, settled lower by -0.7% and -0.1% respectively. Near term outlook is for the recent retrace low of 2085 to hold, with renewed upside into the sp'2120/30s. *a rather weak closing hour... but again.. nothing significant! So, we're two days into the week.... and both have been pretty tedious. Is the market already starting to wind down for the Easter break (US market is closed next Friday, April' 3rd) ? Despite the net daily declines, overall price action still favours the equity bulls.. and with the VIX dropping to 12.59 earlier today, it does not bode well for those trying to short the indexes. Indeed, it is highly notable that with the Dow settling -100pts or so... the VIX managed gains of 1-2%.. in the 13s. That is nothing for the equity bears to get excited about. Despite continuing weakness across the afternoon, it remains the case that equity bulls have little to be concerned about. 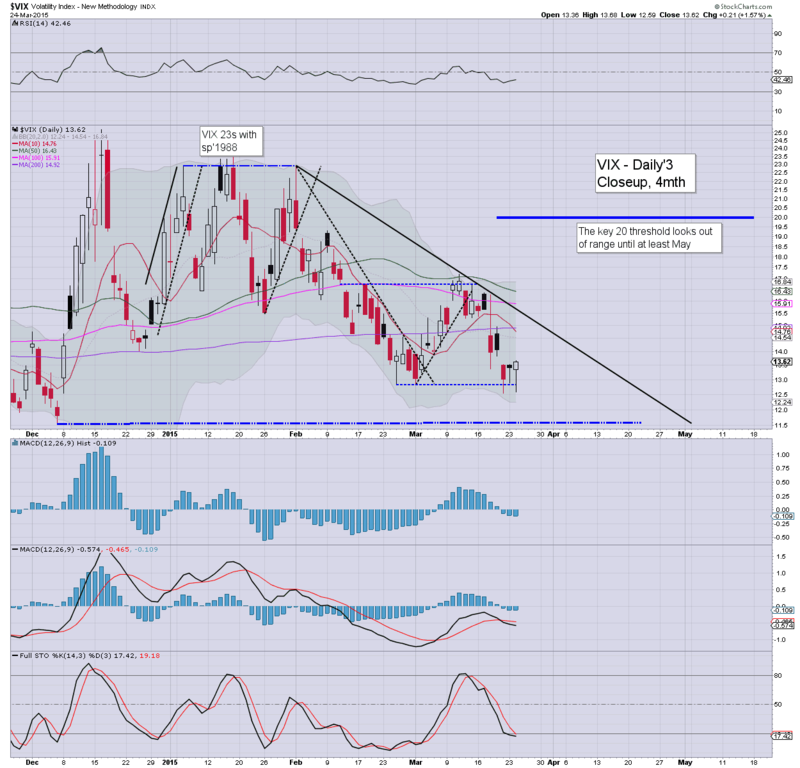 VIX is reflecting such an outlook, as it is showing no market concern, u/c in the mid 13s. Oil and Gold are both holding minor gains. Another pretty dull day.... although there are very notable gains amongst many of the momo stocks - such as TWTR +6.2%, but more on those.. after the close. As for the broader market... I can't see the recent retrace low of sp'2085 being held under, not with price action as we are currently seeing. 3.30pm... a renewed micro wave lower.. .sp'2094.. but still... are some really getting overly excited over a net drop of -0.5% ? It is notable that with sp -10pts, the VIX is only +0.5%.... the latter is the tell. Equities remain moderately weak, although from a pure cyclical perspective, renewed upside remains due. VIX is not reflecting any market concern, -1.5% in the low 13s. USD is +0.1%.. although metals are battling higher, Gold +$2. Oil is +0.6%. *the ongoing six day rally in Gold is marginally interesting, but then, that is after the USD has declined by almost 4% from last weeks high of DXY 100.70s. Today's equity declines barely rate as moderate... and I'm still looking for the sp'2120s in the near term. 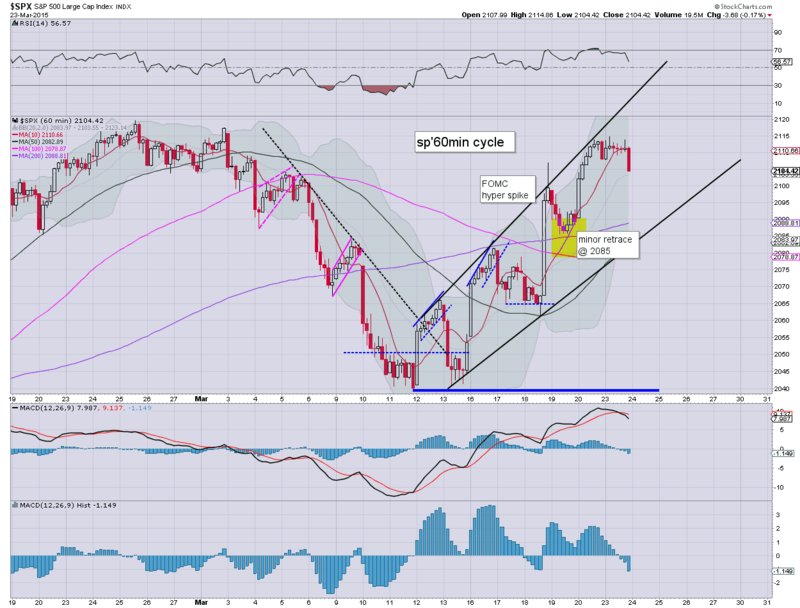 Weekly cycle offers the 2130s. Clearly, soft line in the sand is the retrace low of 2085.. unless that fails (highly improbable)... bears have nothing to tout. 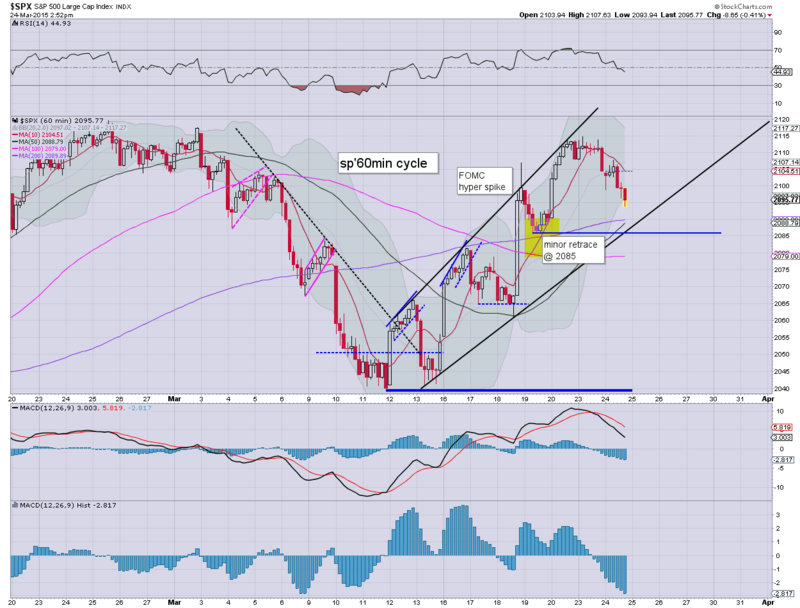 Equities remain seeing minor weak chop, with the sp' battling to re-take the 2100 threshold. VIX is showing no concern, having cooled to 12.59. Metals have turned fractionally higher, Gold +$1. Oil is re-building gains of 0.7%.. ahead of the next inventory reports. The broad rally from the double low of sp'2040/39 continues.. there is effectively zero hope of sustained trading under the retrace low of sp'2085. It would seem to be just a case of when the sp'2120s are hit... not if. ...getting a little close to breaking soft support. 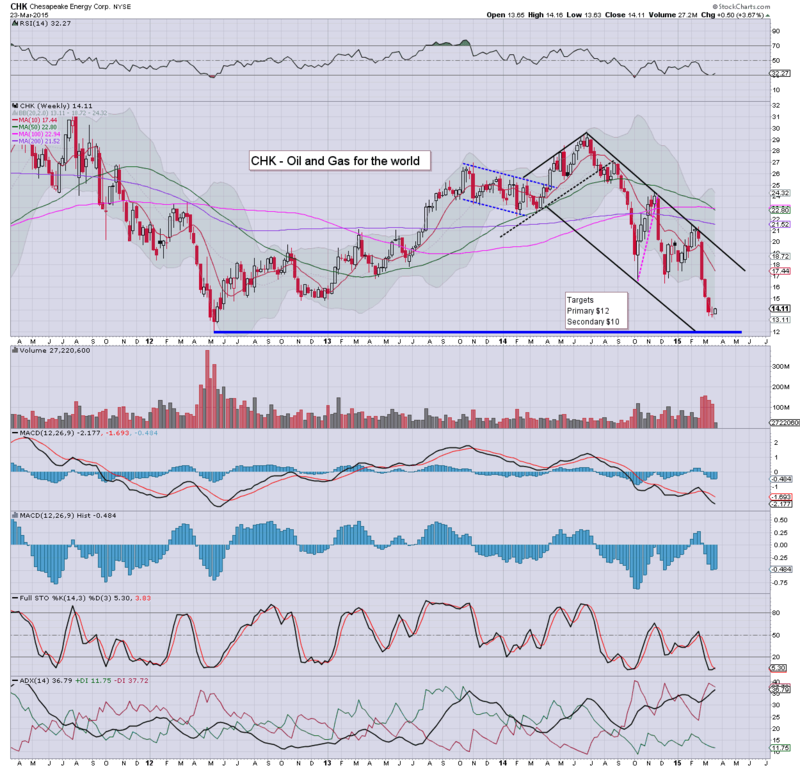 As for the key $18 threshold, that looks well out of range for some months. US equities remain in minor chop mode, but with the smaller 60min cycle arguably floored - with a spike of sp'2098, market is likely to see net daily gains. 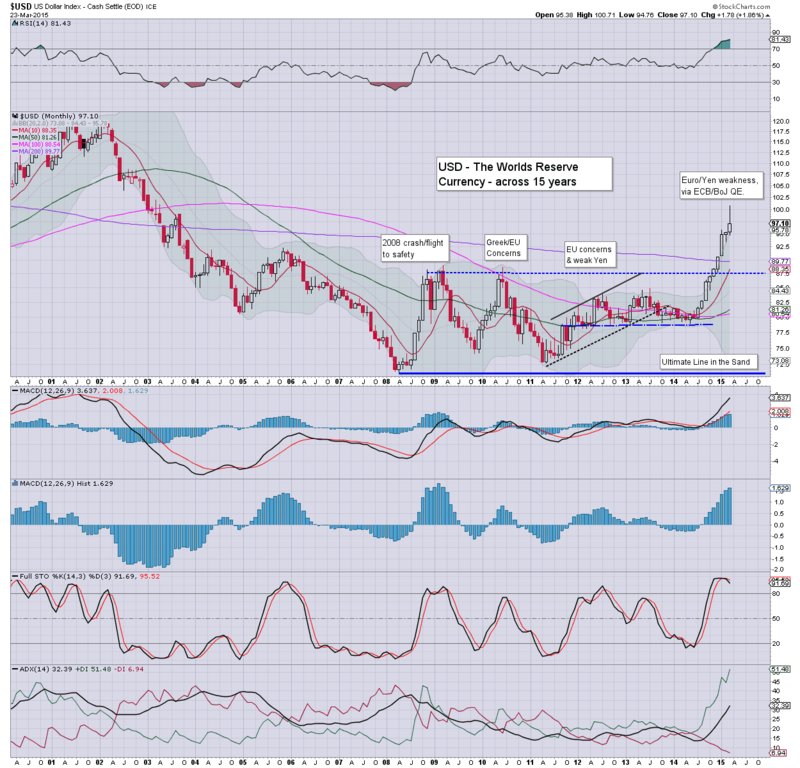 Metals remain a little weak, Gold -$2. Oil has failed to hold the early gains, now fractionally negative. Hourly MACD (blue bar histogram) cycle is very likely floored.. and we're set to turn positive cycle tomorrow.. offering the sp'2120s. $55/60 zone looks very viable around next earnings. Certainly, Twitter appears to offer more potential for earnings (via validation user fees) than Facebook. VIX update from Mr T.... who still needs to adjust his mic. US equities remain a little weak, but the smaller 15/60min cycles are all close to flooring. VIX is still reflecting a market with no real concern, -3% @ 13.00. Metals remain weak, Gold -$2, whilst Oil is battling to hold gains of 1%. Yes, the VIX can't fall forever, but it can easily trundle sideways for many weeks. I just can't envision the equity bears having any real opportunity until in the latter half of April... at the earliest. 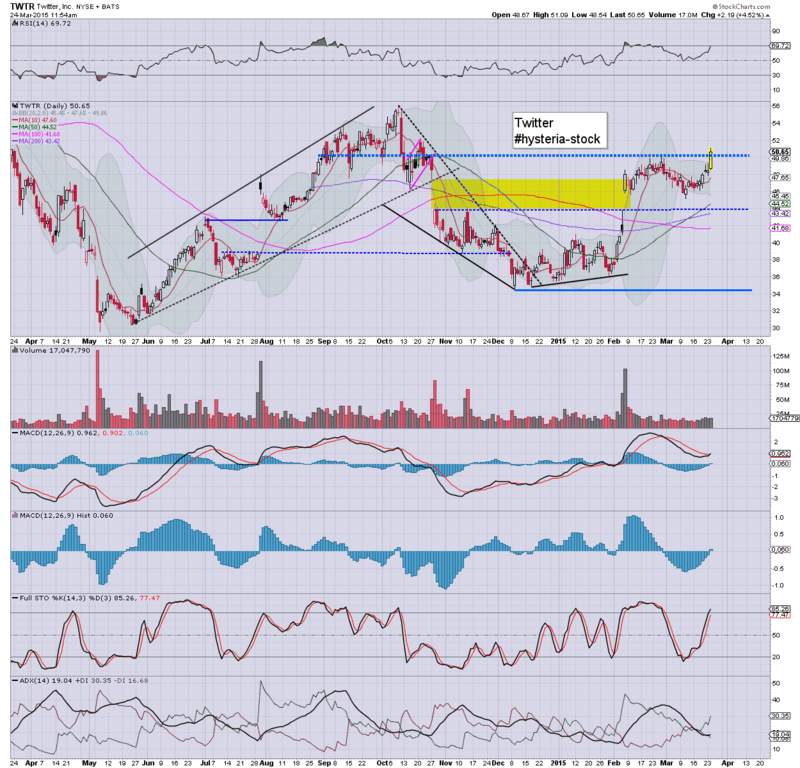 Notable strength: momo stocks, TWTR +4.5%, achieving a key break above the $50 threshold... next level is $55. 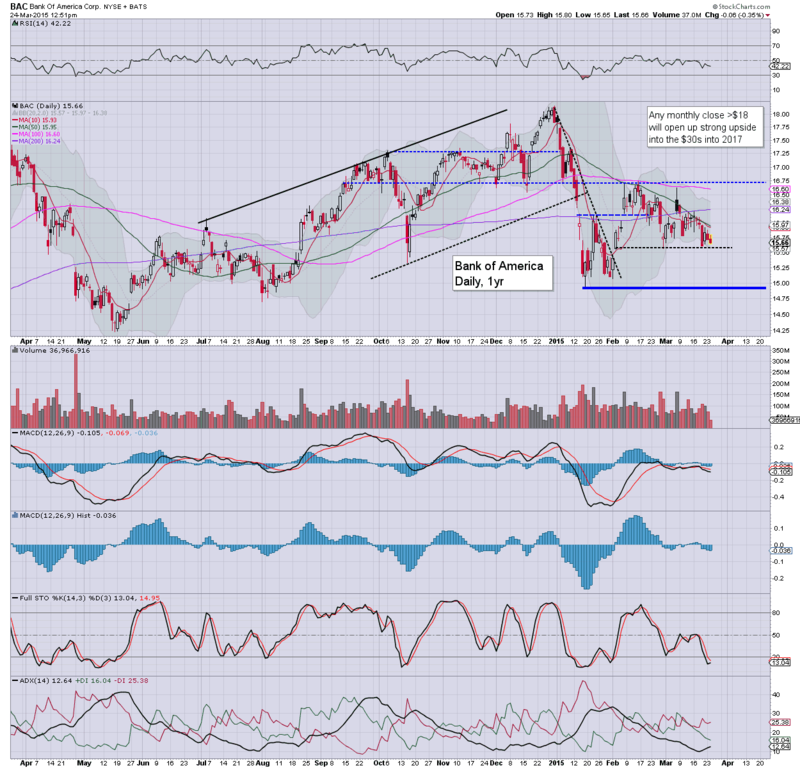 Weakness, AA, -1.6%.... still on track for $10/9 by mid summer. Interesting continuing declines in the Transports.. testing rising support, but other than that... equity bulls have little to be concerned about. *Richmond fed, -8.... not great. New Home sales @ 539k... above expectations. Good morning. Futures are a little higher, sp +3pts, we're set to open at 2107. USD is again somewhat weak, -0.4% in the 96.60s. Metals are a little higher, Gold +$2. Oil is battling higher, +0.9%... but looks vulnerable with the next inventories due tomorrow. So... now its a case of whether we break new highs... >sp'2119, or remain stuck... and roll lower. Best guess remains... broadly higher. Seasonally speaking, equity bears have very little realistic opportunity until late April/early May. ...after its known that Icahn has picked up another 7 million shares... taking his holding to around 70 million. Whilst the main equity market saw some weakness into the close, there was notable weakness for the USD, with a net daily decline of -1.1%, breaking into the DXY 96s. Best downside case remains the 90/87 breakout zone.. from there.. the 120s look an easy 'renewed strength' upside target.. before year end. Little to add... a multi-week down cycle in the USD now looks underway.. which will no doubt help both the US equity and commodity markets. 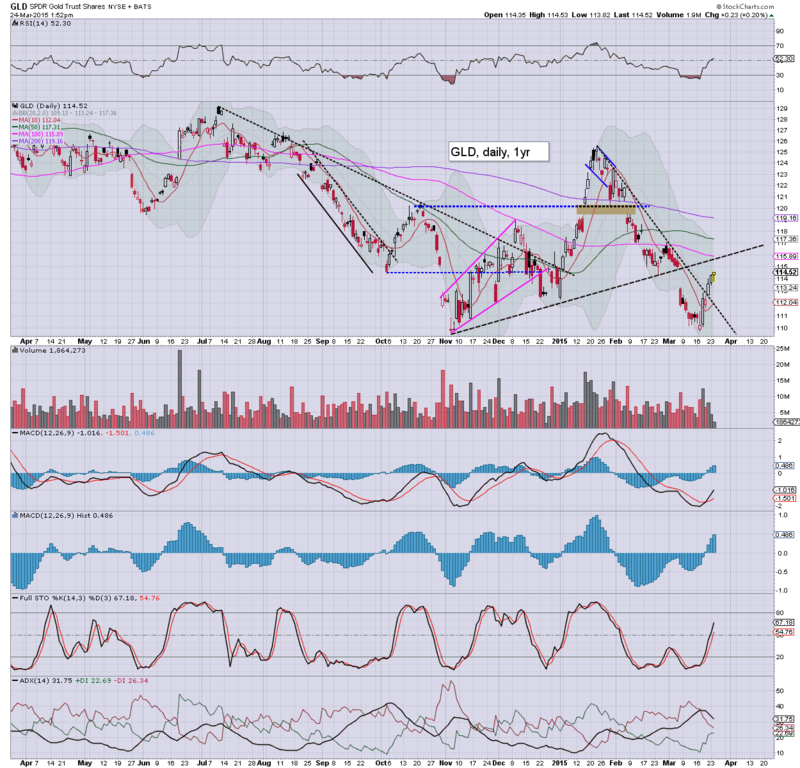 At the current rate, we'll see a bearish MACD cross in about two weeks. 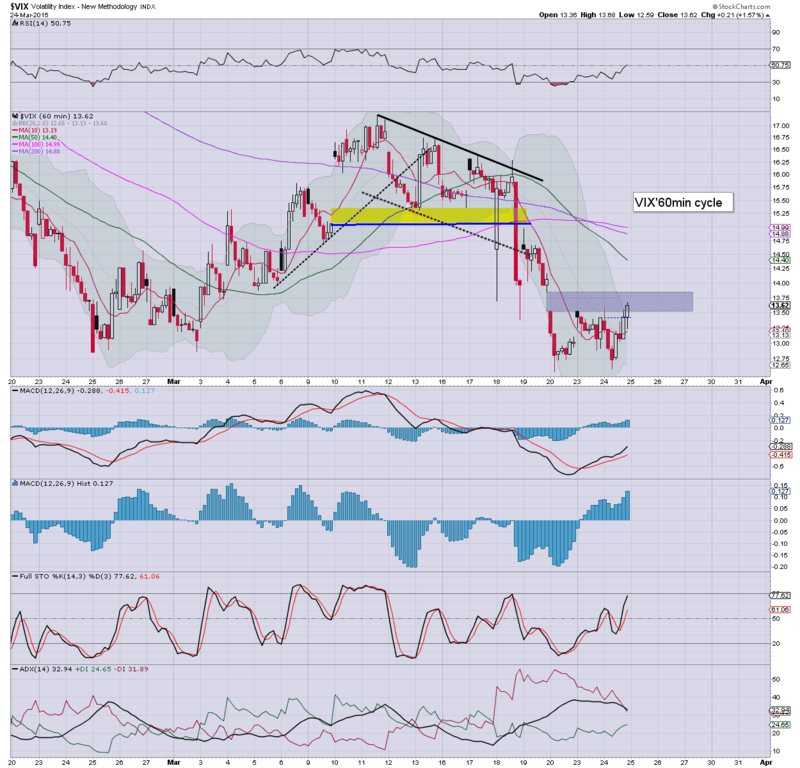 First soft target are the DXY 93/92s... and from there, the 90/87 zone. On no basis do I see some kind of 'grand top' in for the USD.. which remains King of currency land. 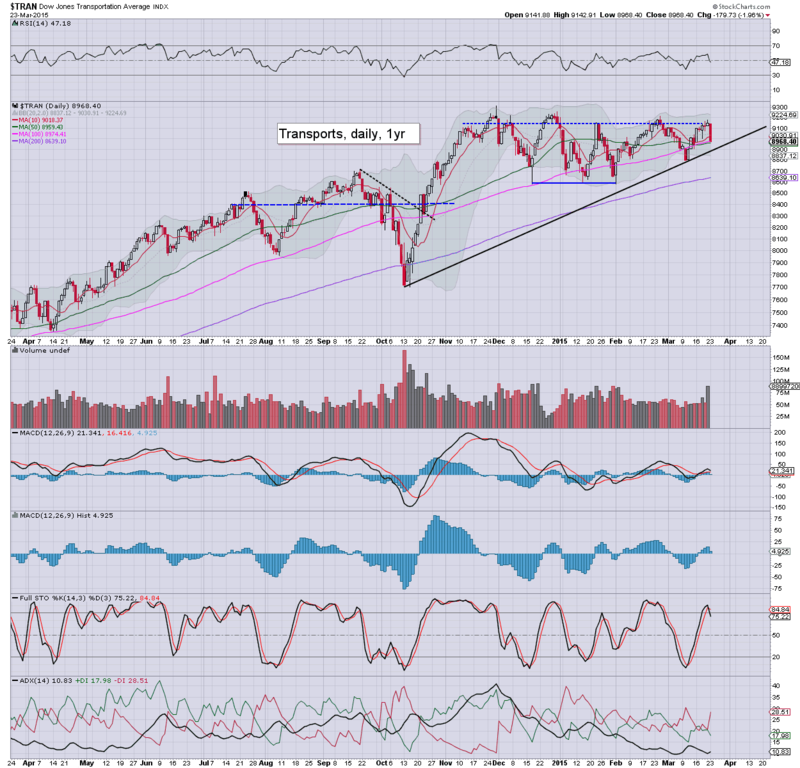 A few months of broad weakness would be very natural...having ramped from the 78s last May. 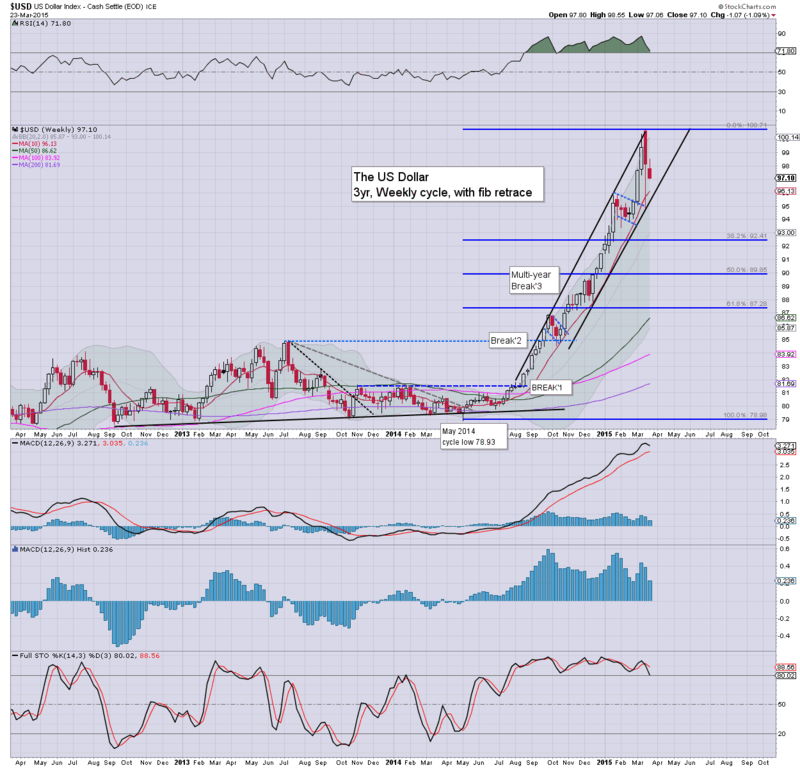 Just recently, it became clear, even the mainstream is seemingly resigned to DXY 120s within the mid term. Anyone who knows their currency history should realise that once the 120s are held, it opens the door wide open to the 160s. ... and the 160s should lead to the realisation that all sorts of 'interesting things' are set to occur across the next few years. Late evening update from a moderately loud Mr C.
I find it ironic that Oscar is so twitchy about the post FOMC rally. 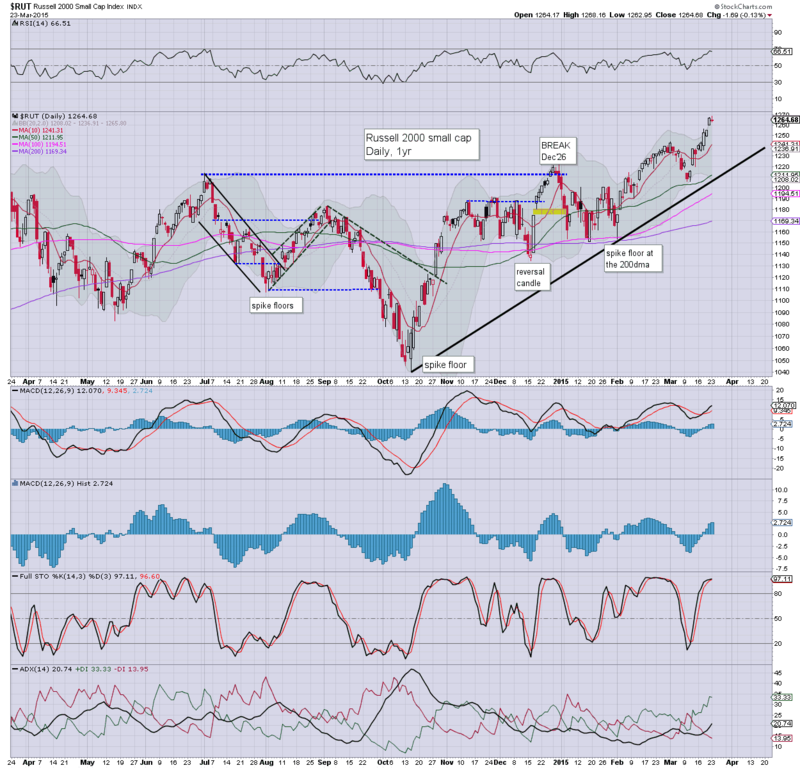 It remains notable that the R2K broke a new historic high today, with other indexes very close to breaking new highs. 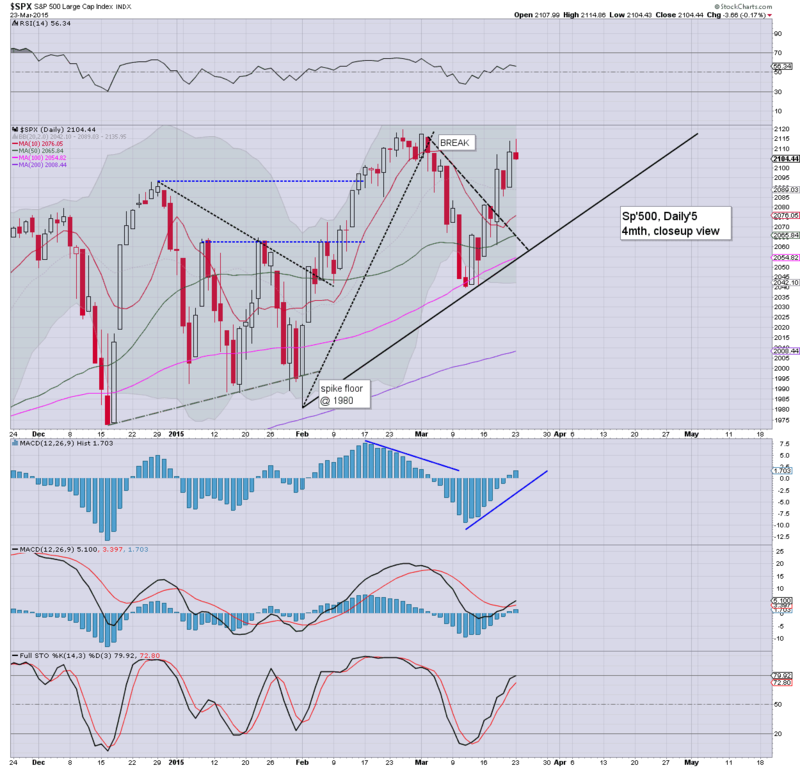 I would guess it is NOT a double top... and that we'll be trading in the sp'2120s this week. Both the smaller 15/60min equity cycles for most indexes are largely reset, and the setup most certainly does not favour the bears this week. Amongst an array of data, we have the latest CPI. US equities closed somewhat weak, sp -3pts @ 2104 (intra high 2114). The two leaders - Trans/R2K, settled lower by -2.0% and -0.1% respectively. Near term outlook is for continued broad market upside.. into the sp'2120/30s. R2K broke a fractional new historic high of 1268. Little to add... on what was a relatively quiet day. The significant daily decline of -2.0% in the transports is interesting, but the broader market sure isn't looking like it is in any real danger... not least with another record high in the R2K.